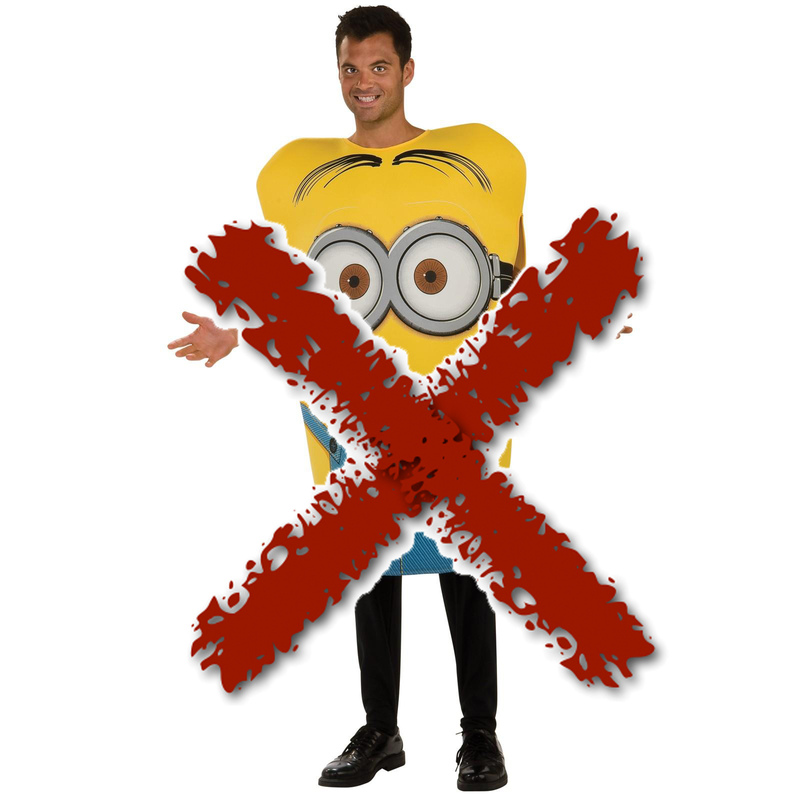 This year I DO NOT want to see anybody dressed as a Minion knocking on my door on October 31st. Also I do not want you to spend too much money on an original Halloween costume. I mean, a costume costs around 40$, which is the price of one amazing video conversion software from VSO. What would you rather have? 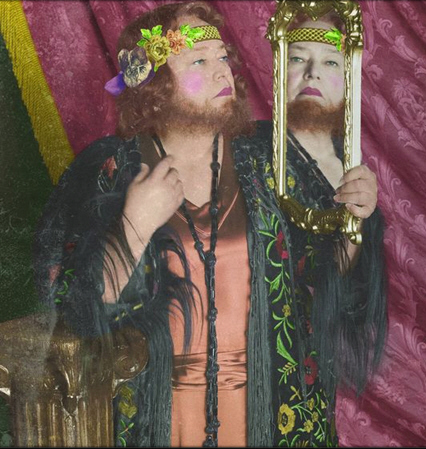 A costume that you’ll wear once or a super useful software you’ll use for life? See my point? So here is my selection of DIY (ie CHEAP, if not even FREE) brilliant costume ideas, straight from your favourite TV shows!!!! 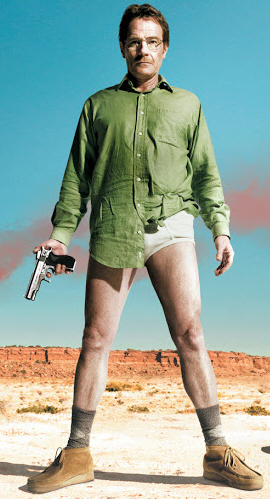 All you need is white underwear, some ugly socks + shoes and a green shirt and BAM: you’re Walter White in the desert! 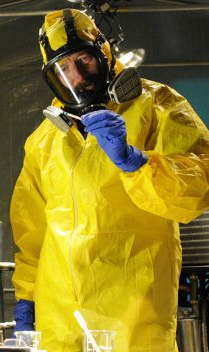 Also put on a mask, blue kitchen gloves, a yellow coverall, and BAM you’re Heisenberg! 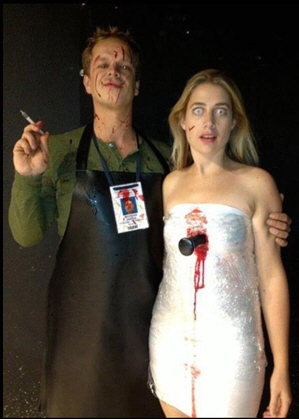 If you’re going as a couple, then you won’t need much to come up as Dexter and his victim! For Dexter, you need a green long sleeves T-shirt, a black apron and some fake blood for the blood spats. For the victim, just use a white T-shirt and some cling film: cut off the top of the T-shirt just above your torso, wrap yourself in several layers of cling film, add some fake blood or red paint, stick a plastic knife and there you go! An easy one for women, but so popular! 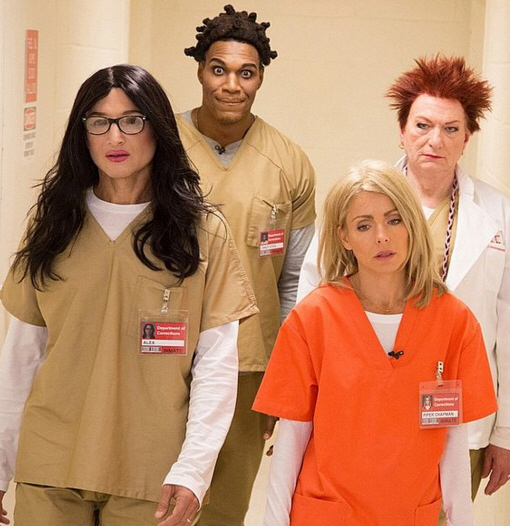 Put on some orange or beige scrubs, and let your hair colour and style decide which character you’ve now become: Vause, Piper, Red, Crazy eyes…. 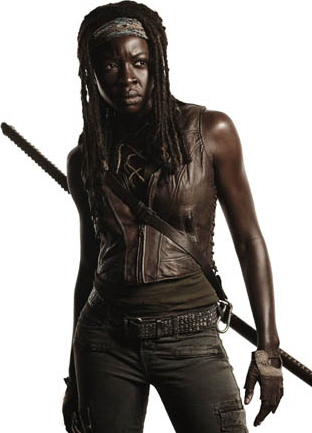 If you have a brown vest, then just borrow your dad’s driving gloves , grab that fake katana sword hanging on your uncle’s wall, and you’ve just given life to Michonne! 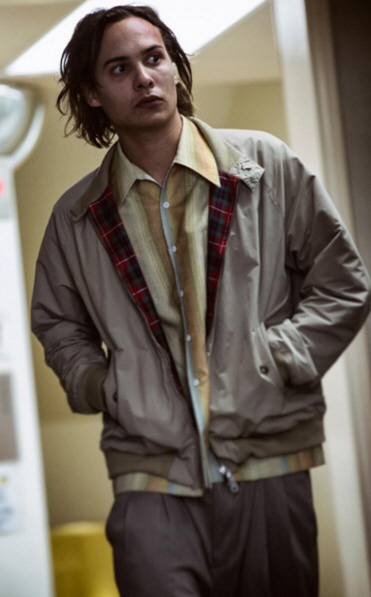 Become a “truer than life” Nick Clark by raiding your granddad’s closet: all you need is a cuban style shirt, a golf jacket with some ugly lining and oversized gray pants. Also, not optional, don’t wash your hair for a while in order to achieve that greasy hairstyle. This one is brought to you by VSO‘s intern Sergey, also a serious Dr Who fan! A brown jacket, a bow tie and some red suspenders (yes they’re important , even if you might not show them off!) 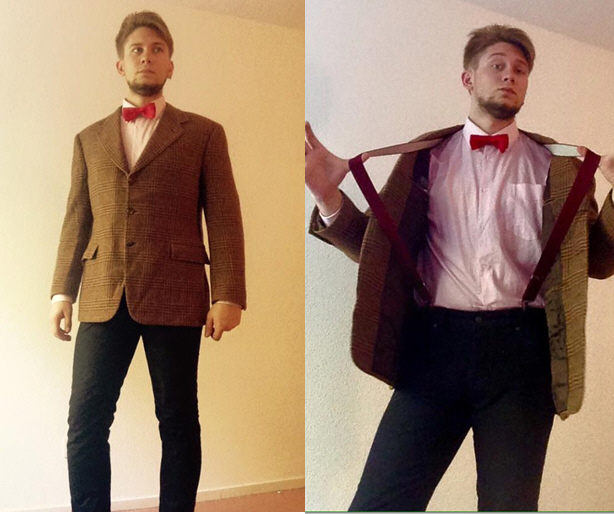 , black trousers and boots and you’re ready to step into the 11th doctor’s skin! 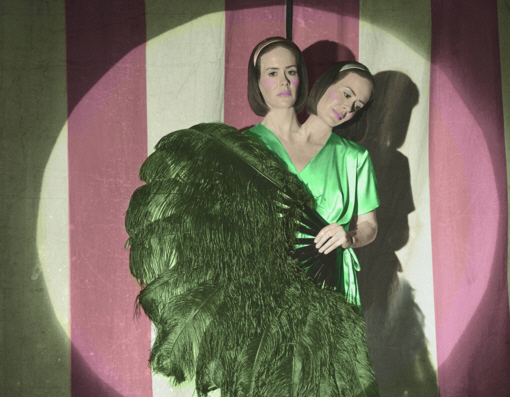 And finally, more complicated and guaranteed to give you a stiff neck by the end of the night, you can try the siamese twins Bette and Dot Tattler stunt, but good luck with that! Previous PostTwo amazing TV shows…. from France!Next Post#WhereisLuke?